There is so much focus on teaching your kids – this is important, but we should all be life learners, so why not learn new skills WITH our kids, instead of trying to just teach them what we already know? Sounds like a win-win situation! Pick a skill you want to learn and work through it with your kid. They will see how you structure your time, how you focus, and how you handle your own frustration and achievements. Conversations will evolve as you get deeper into the subject, sharing in the experience. One skill we could all use a bit more practice with is accounting and as long as your kid is old enough to have mastered the basic concepts of money, they may be ready to take it to the next level. 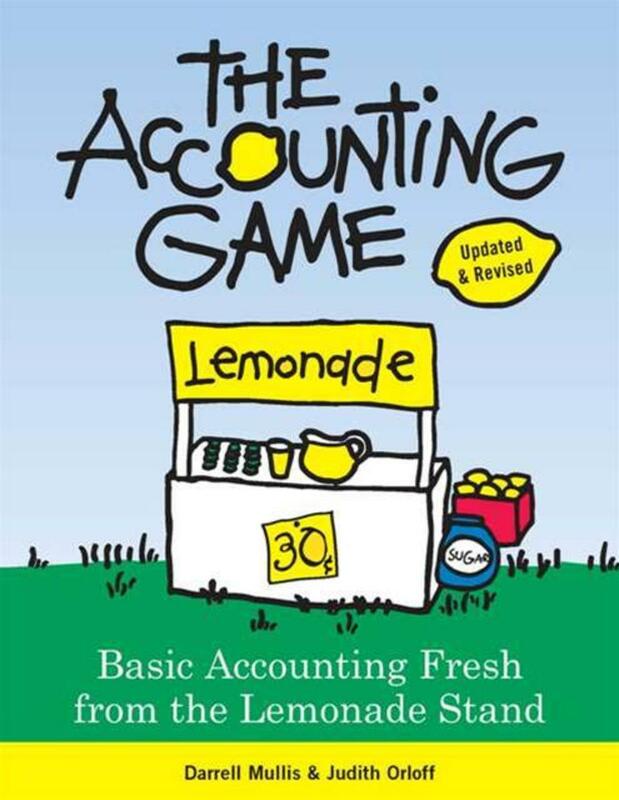 We recently got our hands on a copy of The Accounting Game: Basic Accounting Fresh from the Lemonade Stand, by Darrell Mullis and Judith Orloff, published by Sourcebooks. It provides the clearest explanation ever of the key accounting basics using a learning method called “accelerative learning” which uses your senses as well as your emotions and critical thinking skills. The world of accounting can be intimidating, but it can be as simple and fun as running a child’s lemonade stand. This book presents financial information in a format so simple and so unlike a common accounting textbook, you can forget you’re learning key skills that will help you get ahead! Using the world of a child’s lemonade stand to teach the basics of managing your finances, this book makes a dry subject fun and understandable. An Amazon reviewer said, "Fantastic Learning Tool...Don't let this book title fool you. It is not an oversimplification of accounting and financial principles. It is, however, a serious and very effective examination of a very small but progressively complex business. There are not many books available on the market that make a complex and dry subject understandable and even fun. This book successfully does just that." As you and your kid run your stand together, you’ll begin to understand and apply financial terms and concepts like assets, liabilities, earnings, inventory and notes payable. It’s interactive format gives each of you hands-on experience as you learn together. There are color-coded charts and worksheets throughout to help you remember terms. It’s all presented in a fun story format designed to be applied to what you learn in the real world. Recommended for child and grownup learning together.